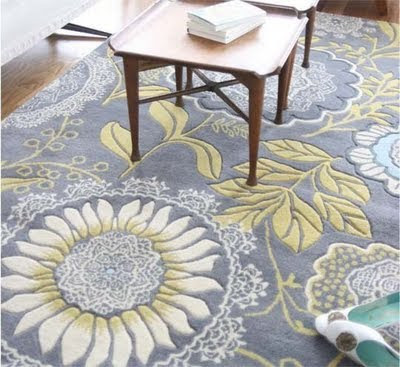 Have you heard that Amy Butler is making RUGS now? Too bad that by the time I can afford one; everyone will have one. One day dear Em, we will both be able to surround ourselves with the pretty things of this world that the dear Lord blessed us with an eye for. I hope its sooner than later, but it will be one day. Sigh!